2015 - January - Wines with High Alcohol Content—Curse, Blessing, or Nature? Remember when wines were “12.5% alcohol?” It’s rare to find any dry wine under 13% this century, and wines of 14% and higher are quite common. (1) In climates where grapes ripen fully, and when consumers love the flavors of fully ripe fruit, there is more sugar in grapes and consequently more alcohol in the product. (2) Modern yeasts are more efficient in converting grape sugar to alcohol than the standard winemaking yeasts of 2 generations ago. (3) Modern, ecologically sensible fermentation strategies allow less alcohol to escape to the atmosphere. It’s different from 40 years ago, like quite a few other things, but is that good or bad? The article below hopes to give you some winemaking 101 background and some food for thought, along with a few of my personal opinions at the end. It has become fashionable for some columnists, particularly apologists for winegrowing regions where grapes struggle to ripen fully, to smugly slam wines with alcohol levels in the 14+ or 15% range. 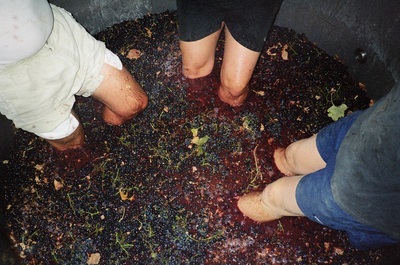 They assert that we winemakers do this on purpose because we’re either thrill-seekers or poor students. Like most strong opinions, there is an objective foundation to support them…as well as a credible rebuttal from other thoughtful people who see the phenomenon from a different angle. But it’s definitely true: Wine alcohol levels seem to be rising. Remember the days where almost every wine on the shelf was labeled as “12.5% Alcohol by Volume?” That was the standard when I started taking winemaking courses in the 1970’s. 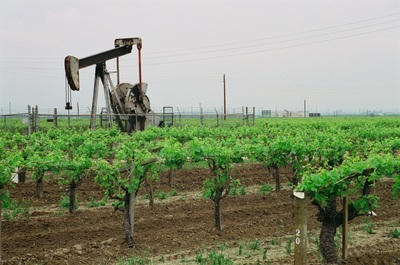 However, it has become unusual to find a dry California wine with less than 13% alcohol in this century. It seems that 13.5% has become the new expectation, and some really delicious wines often nudge 15% and even higher. They generally don’t regret it. What’s behind this change, and what does it mean? Let’s start with a mercifully brief chemistry lesson, then let’s talk about grapes, yeast, and winemaking decisions…and finally…personal appreciation! Any high school organic chemistry student will mention that “alcohol” describes not one molecule, but a diverse family of compounds. 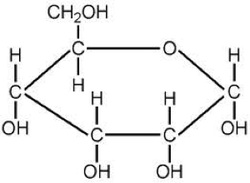 What all alcohols share is a framework of carbon atoms with one –OH (known as a hydroxyl) group attached to a carbon atom in place of a hydrogen ion. Individual molecules in the family vary from simple to complex, small to large. (For example: camp stove fuel, rubbing alcohol, and perfume components.) Many alcohols are made in nature, and others are synthesized (by former high school chemistry students with engineering degrees) on industrial scale. In this article, I’ll use the term “alcohol” to specifically indicate ethanol, naturally produced by living, natural yeasts breaking down natural plant sugars as a source of energy. This process is known as fermentation, of course. If they had brains, the yeast would likely be mostly interested in using that energy to expand the population of genius microorganisms. However, for the entire history of human civilization, people have also learned to harness and appreciate the byproducts of fermentation. In addition to releasing energy in the form of heat, fermentation produces natural carbon dioxide and natural ethanol. • The carbon dioxide makes the magical gurgling in a wine vat and the fizzing in a jug of unattended organic apple cider or orange juice. It also makes the bubbles that make bread dough rise. • The ethanol stays in the wine or the juice, but it cooks off when the bread bakes. The amount of sugar in the grapes is by far the most important determinant of how much alcohol will wind up in the wine, but not the only factor. For starters, how does sugar get into the grapes and how do we know how much sugar is there? It’s not as simple as you think. Grape leaves absorb carbon dioxide from the air and water from the soil, then use solar energy to synthesize (manufacture) sugar in the miracle of photosynthesis. The sugar can be metabolized for energy for the vine to thrive—to sink its roots into the gravelly soil, spread its shoots over the landscape, and fight pests in the environment. Sugar is also concentrated in the grapes, which makes teleological sense if the vine wanted birds and animals to eat them and drop those seeds in the distance. Ripe grapes typically have sugar levels in the range of 20 to 25% of the weight of the fresh fruit, sometimes ranging up over 30%. (Apples run 10-12% and berries about 5-8%.) The sugar makes those fresh fruits appealing for people, birds, and bees, but crushed fruit offers a treasure trove of energy if you happen to be a few billion yeast cells in search of fuel for reproduction. • Grapes and most tree fruits and berries produce simple sugars—small molecules of glucose or fructose—which are readily fermentable by yeast. 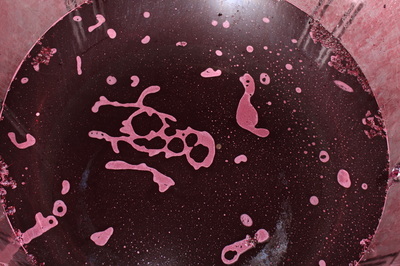 Natural yeasts capable of fermentation are found virtually everywhere in nature, including on the surface of grape skins. • Grains and most vegetables store their sugar in the form of starch…long chains of sugars. Yeast organisms have a harder time breaking those down. However, when the grains germinate in nature, natural enzymes convert the starch to simple sugars. After that, yeast can do their thing, a phenomenon discovered more than 10,000 years ago when people first started making beer. People can trick grain into thinking it’s germinating…with warm water. Similar processes work with starchy vegetables. • Humans, by the way, also have natural enzymes which break down starches into simple sugars which we can then use for fuel. That’s why we can eat cereal and potatoes. Not surprisingly, we also have enzymes that break down ethanol to release energy, and in some apocryphal cases, support our own reproductive efforts. From now on, we’ll limit the discussion to ripe grapes and wine, which gets around to the question of why wines are showing higher alcohol content these days. 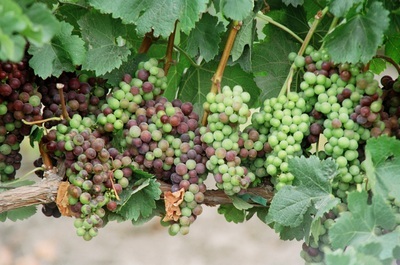 We gauge the ripeness of grapes in more than one way…and they’re all important. • The measured sugar level. For roughly 200 years, sugar level for grapes has been indicated by the Brix scale. Winemakers float a hydrometer—a calibrated “bobber”—in a cylinder of fresh squeezed juice. The higher the sugar level, the denser the juice (the specific gravity), the higher the bobber floats. The Brix can be read on the graduations of the bobber at the meniscus …the line where the fluid meets the air above. To be picky, the Brix is a specific gravity measure, not a quantitative sugar assay. It’s close but not exact. It's often read by the tired eye after a day of hard work on a meniscus possibly perturbed by floating skins and paddling fruit flies. Additionally, specific gravity varies a small amount based upon temperature. Beyond that, some optimally ripe grapes may retain some sugar in the gelatinous matrix of the pulp…so it won’t show up when a winemaker tests fresh squeezed juice. Some grape varietals (like Zinfandel) are famous for this trait. The sequestered sugar will be liberated and metabolized later in the fermentation of red wines, and it will show up as alcohol eventually. It’s less pertinent to white wines, where juice is separated from the pulp at the time of crushing, before fermentation. Many vineyardists use hand-held refractometers estimate sugar. Refractometers yield readings on a few drops…certainly convenient compared to squishing a half bucket of grapes to get enough juice to fill a cylinder! Denser liquids bend light rays more than plain water. That trait is correlated with specific gravity, and it can be calibrated closely with Brix. However, just like the traditional hydrometer, it also fails to pick up the “trapped” sugar in grape pulp. It’s also subject to an interesting human error. Specifically: which drops from which individual grapes does the analyst choose to measure? It’s a temptation to choose the prettiest grapes on the bunch. For the next step, starting within hours of crushing, we need to bring the yeasts into the picture. Yeast organisms may seem like simple single cells, but they are remarkably versatile…and there are lots of varieties. Not only is the diversity expanding, but we’re now able to intentionally select and culture different yeasts for specialized characteristics beyond just alcohol production. It’s becoming complicated. Once upon a time, winemakers relied upon the ratio of predicted alcohol to harvest Brix. Back in the 1970’s, “Conventional wisdom” pegged that figure around 50-55%. (Remember those 12.5 % alcohol wines from 23-24 Brix juice?) With modern, efficient yeasts, the number is pushing up toward 60%...and even nudging 65%. It's rare to find any dry wine under 13% alcohol for the last 15 years. How do we measure alcohol? Dilute solutions of alcohol in water boil at lower temperatures than plain water. By noting the temperature at which wine boils, using a traditional tool called an ebulliometer, alcohol content in dry wine can be estimated. The accuracy of boiling point depression is superb for lower alcohol solutions, but it gets trickier for higher alcohol wines, especially when we seek precision down to tenths of a percent. Boiling point is also affected by other solutes, too, so that technique can't be used reliably for wines with residual sugar. The alcohol measurement technique becomes important for reasons beyond aesthetics. The federal excise tax rate jumps fourfold when wines go over 14% alcohol. Most of us share the experience that when you’re driving with a highway patrolman behind you, we pay close attention to our speed. When the ebulliometer yields a reading that is right on the cusp of a big tax impact, cautious winemakers spend the dollars to get a biochemically precise assay from a specialized reference laboratory. • Closed fermenters. Traditional, open top fermenters allow some ethanol to escape to the atmosphere, especially during the most active phases of an active fermentation. This has become a regulatory concern for very large wineries. Open top fermenters may be regarded as a smelly nuisance in the neighborhood, and they attract fruit flies, honey bees, yellow jackets, and intrepid mammalian pests. Not nice to find a drowned raccoon in your tank, eh! Open fermenters invite spoilage organisms, also, which was an occasional quality problem in California once upon a time. Closed top fermenters avoid most of these problems but retain more alcohol in the wine. • Refrigeration. Cooler fermentations tend to send less alcohol into the atmosphere than unregulated hot fermentations of the days of yore. The wines taste a whole lot better, especially to preserve the delicate fruit aromas of white wines, but the alcohol levels may end up a tad higher. Some wineries deliberately pick at higher sugar levels to yield wines with such intense fruit concentrations that the debutante wines will dazzle the fuzzy tongues and subjective appeal of judges in influential competitions. It’s not a silly strategy, since some awards can make or break a winery’s bottom line, and Gold Medals have become big business. However, many of those top-heavy wines have deficient acidity and high pH despite lots of manipulations. All too often, the flavors sag in the bottle after a few years (see our article on Red Wine Ageing). Others develop an unappealing “hot” mouthfeel, a muddy color, and even a raisin-y or “burnt” aroma. There are plenty of consumers who like them regardless…or love to serve wines with high scores to wow their impressionable friends. It’s fair game. The Golden Ring for a California winemaker is to harvest grapes which have fully developed flavors and perfect acid balance at sugar levels below 24 Brix. Sometimes we hit that squarely with Pinot Noir and Sauvignon Blanc, although it varies by year. It’s unusual for our heavier bodied reds and even Chardonnay, however. When nature doesn’t deal us “golden ring” grapes, we aim to make the most flavorful wine possible with a secondary nod to the alcohol. There are some grapes, however, where high alcohol is just simply what you get. Primitivo (and most Zinfandels) have an interesting growth feature. The clusters are very large, and within the cluster, it’s common to find individual grapes of varying maturity. Some are “just right,” while a minority are less mature, and still others may be a little overripe. The latter grapes start to soften and even pucker a little bit, resembling the surface of a golf ball. If we picked when the average sugar level of the full bunch was, let’s say, 24 Brix, the juice would have some of the less developed or “green” character of the underripe berries…which diminishes the potential flavor. We wait. We wait until all of the Primitivo grapes in a bunch have reached full maturity. We accept the fact that some will have progressed to overripe, meaning higher sugar and eventually more alcohol. I honestly think that’s the only way to get full flavored Zinfandel, unless you had a cast of a thousand dexterous sorters with fingernail scissors removing the underripe berries. We think it works. There’s another special blessing about Primitivo. This variety holds onto its acid much longer than most other grapes. Primitivo (and Zinfandel) may actually carry too much acidity at 24 Brix, definitely an exceptional trait. The upshot is that fully ripe or even slightly overripe Primitivo grapes will still sport optimal acidity without the winemaker having to add bags of tartaric acid crystals (derived from grapes, perfectly legal and a very common practice). The fortuitous trait of retention of natural acidity keeps our Primitivo bright, balanced, and long ageing even with alcohol levels in the 16% range…something unusual for Pinot, Cab, Sirah, and other mainstream reds. Yes, it’s higher in alcohol. The solution does not require a rocket science PhD. Pour a smaller glass and savor it. Share the bottle and take your time. That’s pretty sound advice for any alcohol-containing beverage if you’re going to drive…or discuss finances with your partner…or send e-mails to your boss.